It was another banner year for Essential T here at Los Angeles magazine, with the torta scene coming of age, the ever expanding regional Mexican dining options, and our epic Taco issue back in July, which explored the city’s favorite food and highlighted the 25 best tacos in L.A. Our love affair with tacos grow stronger each year, and you just can’t get enough of Mexico’s addictive street food. So, here are the 10 best taco moments this year from both new discoveries and L.A. taco institutions. Yes, burritos are tacos, now—moving on! This was my best bite of the year, the Zacatecas-style burritos fashioned with homemade flour tortillas, filled with regional stews like beef birria, deshebrada, and chicharrones cooked in salsa. Not to mention that the Bañuelos Lugo family had introduced a small regional chain to Los Angeles, which is a rare treat. Just one bite of the real deal and you’ll never go back to those Mexican-American combo plates dumped into a giant wrapper (apologies to San Francisco and San Diego). There are two types of carnitas in Los Angeles; carnitas made by Romulo “El Momo” Acosta, and those carnitas not made by “El Momo.” I only get carnitas from “El Momo” in Los Angeles when not on the clock, but this year, Romulo’s daughter, Adriana Acosta, introduced me to the traditional way to have carnitas in their hometown of Salamanca, Guanajuato. Get a tortilla packed with their carnitas: shoulder, skin or hog maw—or in a combination—and have it with pickled jalapeños. 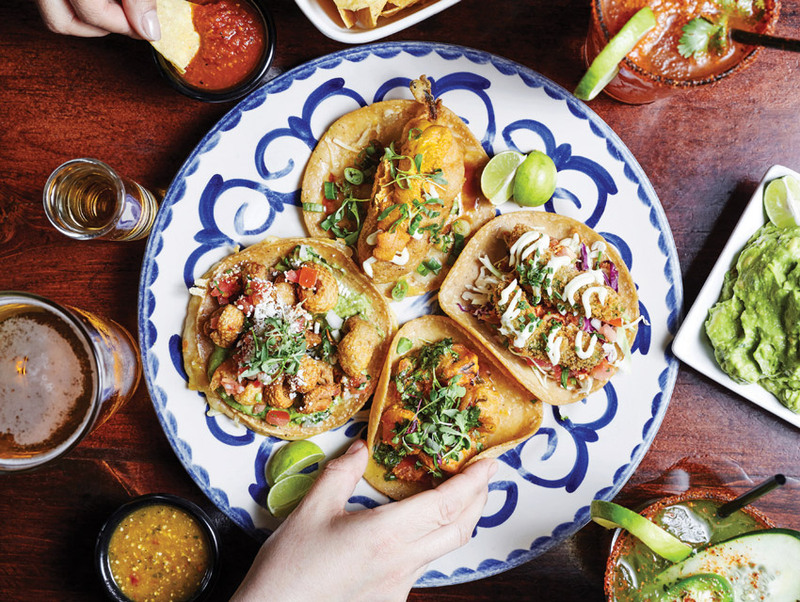 Let a little of the pickling juice drip on the taco and chase each bite with the chilies; skip the onions and cilantro for a special taste of Guanajuato. Terror struck our taco loving community upon hearing rumors that La Puente’s Colonia Taco Lounge might be closing because it was just beyond the reach of our outstretched arms (we will drive for tacos, but apparently not to La Puente). But before we even had the time for a bitter Twitter party, chef Ricardo Diaz announced he’d be taking over yet another former 7 Mares to reopen his brilliant pocho-style guisados restaurant, from the man who first made L.A. crazy for guisados. The city’s best traditional birrieria is a place I frequent, whether taking fiends out for a genuine Mexican dining experience, or when an all night mezcal marathon requires the cure of spicy roasted goat and some Modelo Especial. But the main reason I’m including the Moreno family’s 12-year-old Boyle Heights institution is that they will be closing on the 30th of December and are in the process of relocating to a new space. 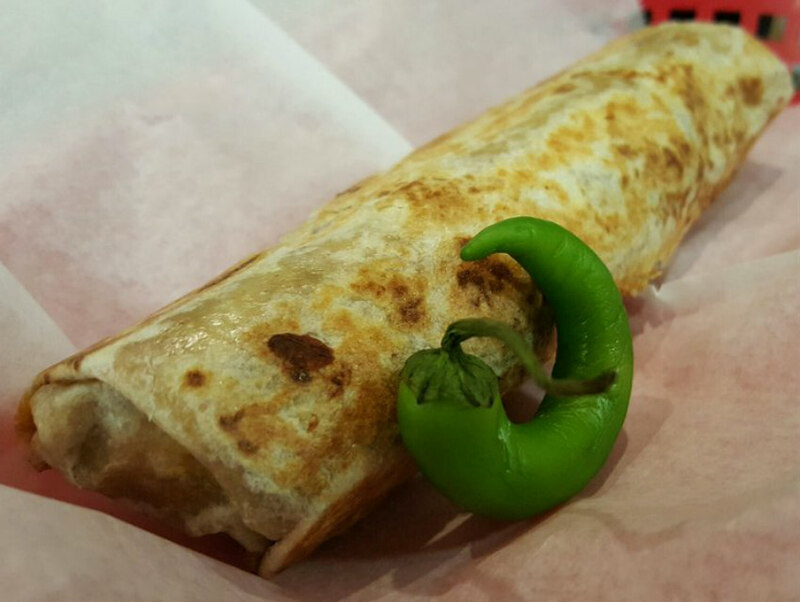 So, put a trip to this authentic birrieria on your list of places to hit before the ball drops to ring in 2016. 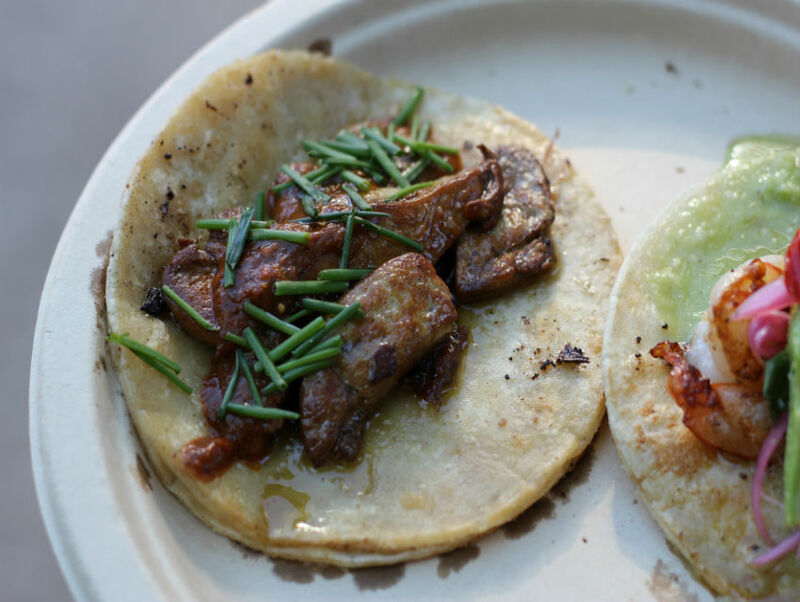 Guerrilla Tacos’ Wes Avila serves foie gras tacos from a food truck. I avoid chef Wes Avila’s Instagram feed, especially when I’m traveling; it’s one of the few places in L.A. that actually makes me feel like I made a mistake by leaving town. 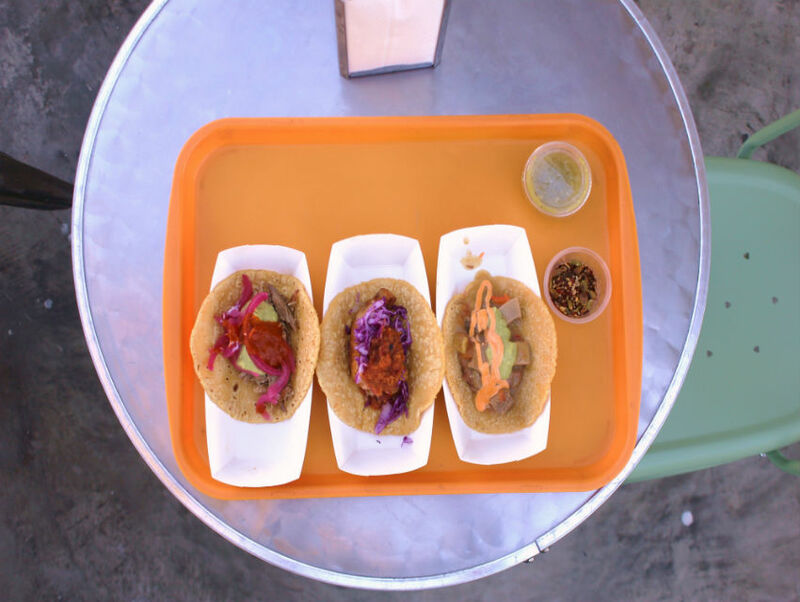 Amazing tacos like his stewed oxtail and foie gras taco, and others made with the best market ingredients, because you can have it all here—tacos with your homies, fine dining and third wave coffee—welcome to Los Angeles. A trip to San Juan de Los Lagos had be craving their flautas that are not just topped with some veggies, cheese and cream, but a mound of shredded lettuce, tomatoes, pickled pork rinds, and pork loin and leg cured in adobo smothered in Mexican cream. While many visit this religious center of Mexico to see the Virgin Mary, I think it might be also to load up on on these irresistible antojitos. 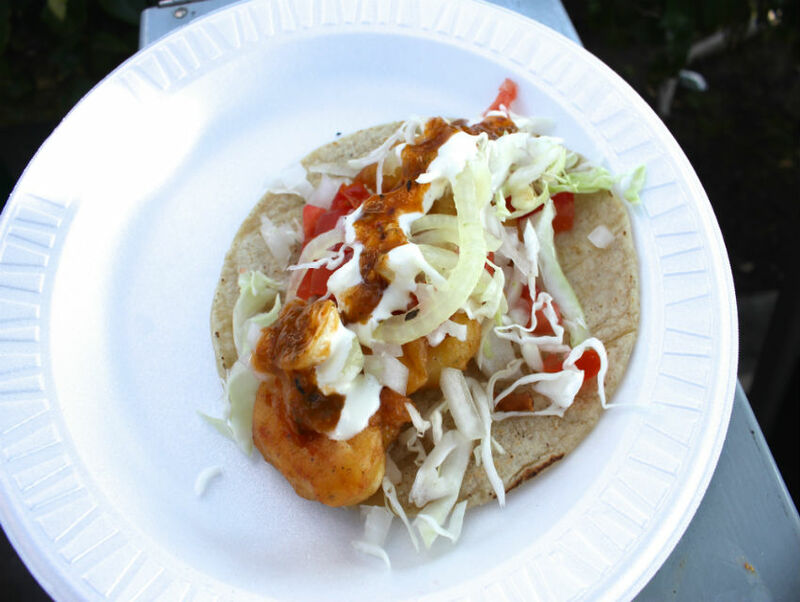 Juan Jose Aguilar was a huge surprise; a hot dog cart converted into an Ensenada-style fish taco stand that’s one of the best two fish taco operations in Los Angeles. Sometimes he gets angelito (shark) for a true flavor of Baja California for his fish tacos, that are served just down the street from Tacos Baja, an L.A. institution that’s now the 2nd best fish taco spot on Whittier Bl. Good things come in small packages, especially when that package is a crispy corn tortilla stained by the the juices of goat birria. The birria is very good here, but the Guadalajara-style tacos dorados are the way to go, taking that same goat birria and putting it into a tortilla, and finishing it on the flat top grill for all us too lazy to get up when they still have stock. Who care about a worm; late birds get tacos dorados. This was the biggest taco story in 2015, when I came across Jose Morales and Jose Morales Jr.’s Mazatlán-style carne asada cart in Watts, which not only added depth to our regional dining options but increased our carne asada IQ with good steak cooked over mesquite. Chorreadas were introduced to our street food vernacular, and we now have a new place to go for vampiros, all prepared with special salsas just as you’ll find at the taquerias and stands in Mazatlán. Goat was big in 2015 for this tacorazzo, and the fried goat birria flautas are among my two favorite tacos this year, not just because their delicious goat flavor and crispiness, but for bringing a unique style of flautas that haven’t been seen before in Los Angeles. Located at Leyva’s Bakery, 551 E Francisquito Ave # C, Valinda, (626) 917-4095 or (626) 435-7288, Saturdays and Sundays only from 7:00 a.m. to 1:00 p.m.